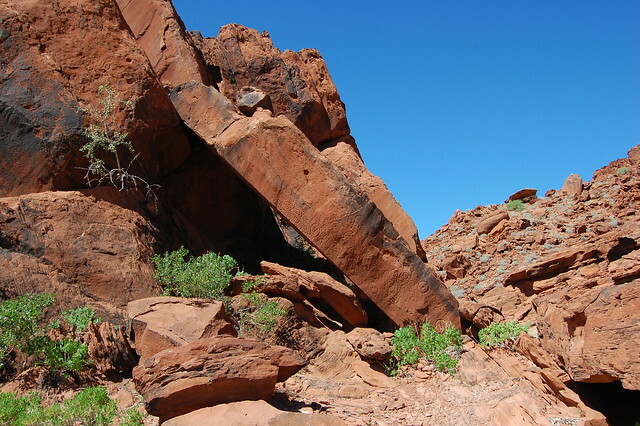 Located on the west coast of southern Africa, Namibia is a country full of surprises. 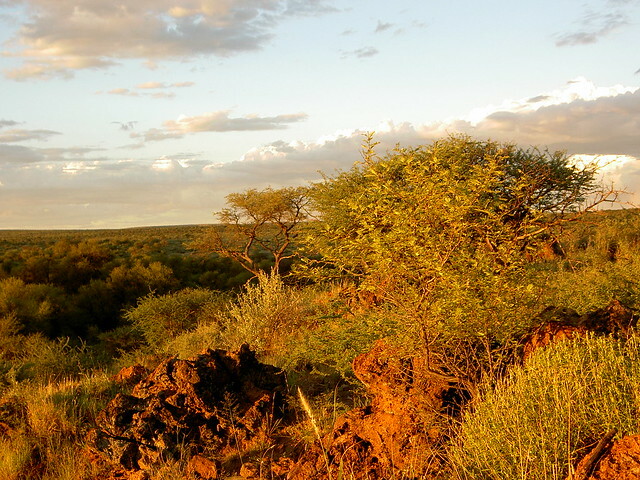 From the desert areas filled with wild animals large and small to its modern capital city of Windhoek, there’s a little something here for every taste. Ever wanted to try sand boarding? You can do it here. Prefer to go shopping? The markets and boutiques of Windhoek are ready to amaze and delight. In need of a stunning coastal view and a cocktail? Head to an Atlantic beach resort. How about a safari? 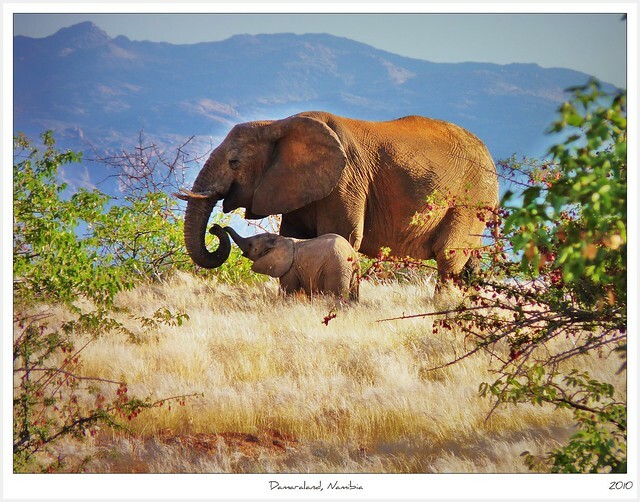 Namibia is home to many species like desert elephants, springbok, and black rhinos. The Namib Desert stretches over six hundred miles along the Atlantic coast and over most of Western Namibia. The desert is dry and most of the life-giving water in the desert comes from the frequent fog that descends upon it to nourish the unique plants and animals that have adapted to live in arid, sandy conditions. 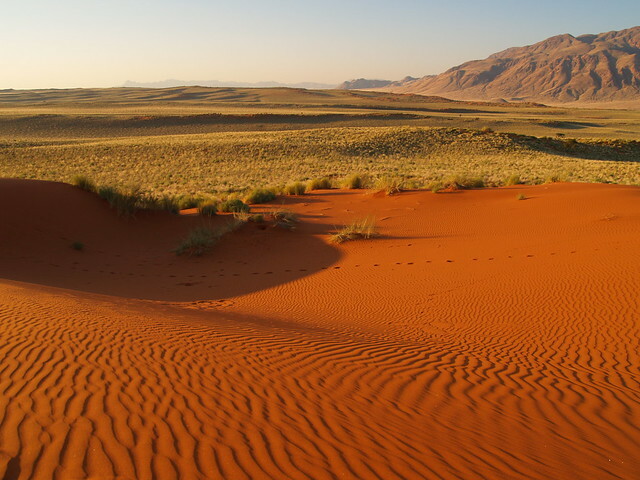 Every trip to Namibia should include some time in the Namib Desert – not only is it the desert that gave the country its name, but it is also arguably the most beautiful region of Namibia. With golden sand dunes, pink-orange sunsets, hot days cooled by fog, and the occasional patch of bright yellow flowers that seem to arise from nowhere, the Namib Desert is a sensory delight. For more glorious fog, Skeleton Coast National Park is a remote destination for the adventurous traveler. It’s an empty, barren place known for the ships that have sunk just off the coast that gave the area its spooky name. Beach lovers should head to Swakopmund, the German-influenced region known for seaside resorts, extreme sports, and German cuisine. Spend a long day on the beach sipping cool drinks and then treat yourself to an apfelstrudel. Or earn your slice of kirschtorte by going skydiving or camel riding in the desert. Carnivores rejoice! The Namibians love to eat meat and have many tasty ways of preparing it. Most Namibian meat is free roaming, antibiotic free, and delicious. If you make some local friends, perhaps you’ll be lucky enough to be invited to a traditional barbecue where you can taste Namibian barbecued beef and game like ostrich. As Namibia is a coastal country, you may also be treated to oysters, rock lobster, or crocodile. Vegetarian? It can be tough, but it’s possible to stick to your vegetarian diet. In cities, there are many restaurants featuring international cuisines like Middle Eastern and Italian where it is usually easier to find vegetarian and vegan dishes. If you want to eat the Namibian specialties you’ll do well to visit the markets and picnic on local olives, cheeses, breads, and special in season delights like asparagus and Omajowa mushrooms.